Very Positive (148) - 87% of the 148 user reviews in the last 30 days are positive. Very Positive (13,565) - 93% of the 13,565 user reviews for this game are positive. 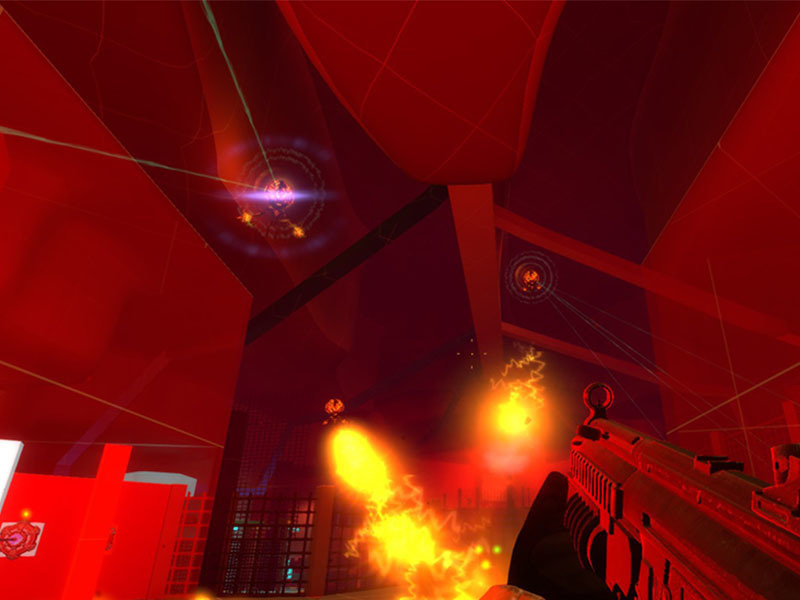 “Making a game with the scope and scale of Black Mesa is a massive undertaking. Back in 2012 we made the decision to release what we had completed up to that point, and were blown away by the community’s response, feedback, and improvements to our work. 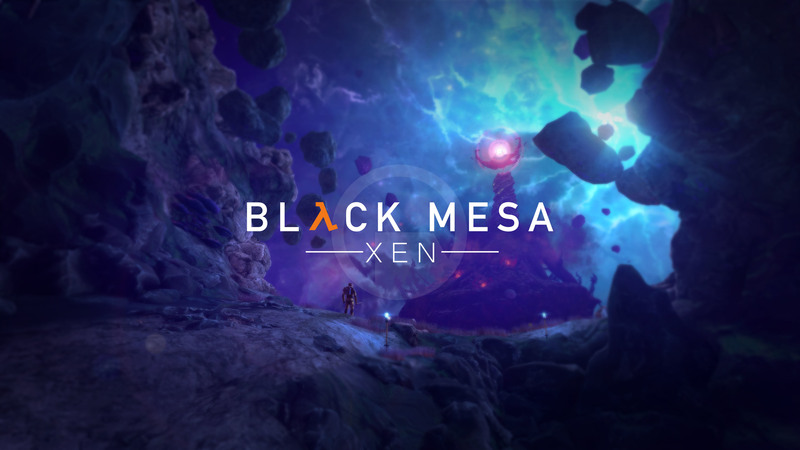 We want to keep that relationship alive and well by using Early Access as a tool for allowing our community to participate in the final phase of Black Mesa’s development. “We currently have the first ~85% of our single player campaign completed (8-12 hours). For the last 15% we want to not only recreate it, but improve upon it to make it an enjoyable and memorable experience. Hope the new year started off great for everyone. We are really happy with the progress we made this month. We wanted to show some of it off and keep the information flowing while we wrap up the last 5 chapters. Our biggest effort went into getting the entirety of the Gonarch chapter arted. Now it is in the hands of our animators, who will take the artists hard work and destroy it! No pretty pictures for this one, but we would be remiss if we didn’t mention we have made huge strides with the end boss of Xen. Our lead programmer Chetan Jaggi and lead animator Nate Ayres have worked together to build out an entire feature set of attacks, defenses, AI, as well as effects for the Nihilanth. Now we’re balancing all these features and building the planned finale. I’d normally say “more to come” but we probably won’t have any more updates on this last fight as we want to keep it a surprise for everyone. In October we revisited some of our released media and posted some #Blocktober dev diaries. Here is the comparison of how far these shots have come since when we first posted them (You can open the image in a new tab for better viewing). Full disclosure: I did some light Photoshop work to make them read better at size and because our sun effect is just a bit too hot in its current form. We really enjoyed putting together the #Blocktober posts, and want to do more write ups like it in the future. Again, hope the new year started off great for everyone! We’ll be back with more updates before launch. 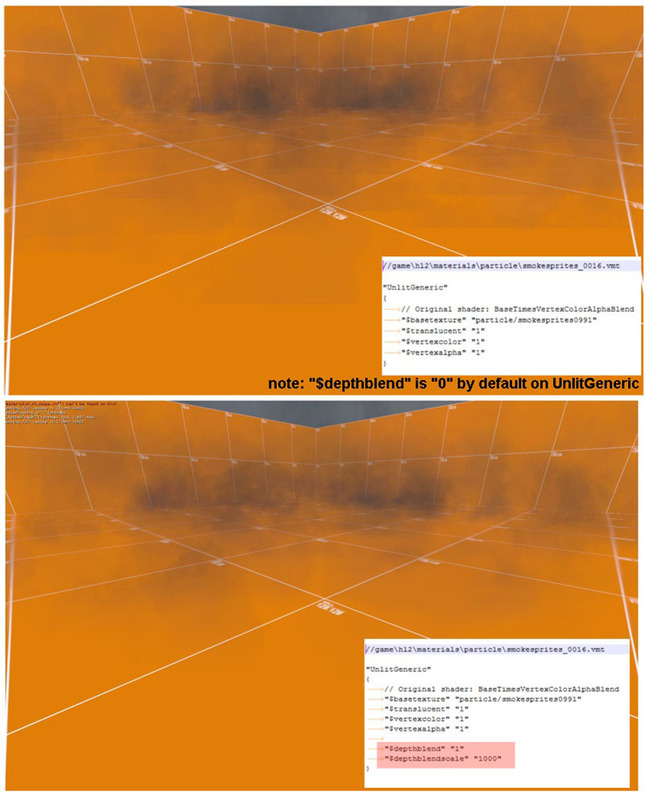 Using the GBuffer that we've developed for our new Dynamic Lights, we've added a dynamic, very flexible new fog system that replaces Source's legacy fog. The new "Xog" can be configured on the fly with instant results ingame, it can change over time with I/O, and it can vary in density and color based on height. Best of all, it's very inexpensive to render, costing about as much performance as a single dynamic light. Our level designers were slack-jawed when they saw how much it improves the look of the whole game, bringing a true sense of scale to the levels. Our original Alien Grunts were tank enemies that shot ridiculously powerful homing bees. They fit relatively well into the tough, cover-laden final levels of Earth. In the vast, wide open spaces of Xen however, they became extremely frustrating to fight. The new Agrunt is the most mobile, unpredictable enemy in the whole game besides our assassins. They'll leap onto different platforms, find a way to outflank you, get in your face, and unleash a devastating secondary "hornet hurricane" attack. As a much-needed balance, the bees from them no longer home in on you, and individual bee damage has been lowered. The player only encounters Controllers once in the released game. They were a good, if a bit simple, final enemy type for the Earth bound levels. For Xen, we drastically expanded their abilities, turning them into a kind of overlord or mini-boss. We don't want to spoil everything about their new abilities -- but mind-control, telekinesis, and crystal-powered shields are just a taste of what players can expect. These were another straightforward enemy from Earth-levels. We mostly teleported them straight onto the player and expected them to be gunned down in a few seconds. For Xen, we have worked them into a much more intelligent, emotional creature. In keeping with the original Xen, they won't be hostile to the player by default. Flashlight shadows are back! Last patch we switched to one of our new dynamic lights, but couldn’t quite solve all the issues with shadows. 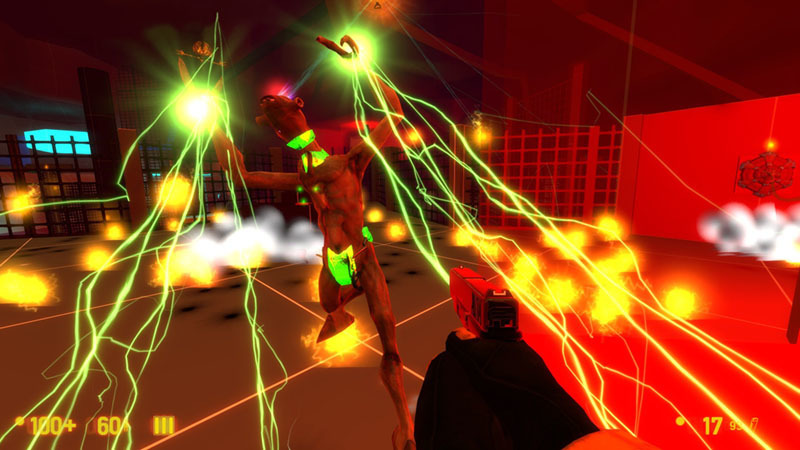 For Xen, the flashlight will be positioned on the player to look like it is casting from lower on your chest. This creates interesting shadows and adds to the atmosphere in dark environments while still having a usable flashlight. Better late than never. This is a feature that's been in other Valve games, but for some reason has been broken in Black Mesa, even from our very first mod release. No more hard-edged particle clipping! Anyone that's tried to get the secret purple hat through Surface Tension has already begged us to enable running while holding objects. Turns out we need this for certain Xen sequences, so wish granted! In addition to the improvements above, we have been grinding away at locking the final bits of design and arting for all our Xen levels. This chapter is completely design locked, most of the art is done, and we are polishing the levels to be release ready. Left on the to-do list is merging art, polishing art, unifying skyboxes and effects across all 6 maps, optimizing maps, and finally a clipping pass. These maps are design locked and are going through the art process. The goal is to be mostly art completed, and start in on its many animated scripted sequences in January. We learned a lot arting Xen and refined our pipeline to be more efficient going forward. There are also half the maps (3) in Gonarch as in Xen, so we got that going for us. This chapter is design complete, but needs refinement to lock the chapter. The goal is to have this chapter design locked in the next few days so that level designers and artists can start in on detailing it. Interloper is currently 6 maps. We have started in on the core gameplay coding of the final boss. We wanted to avoid having the big boss be just a bullet sponge, so we have kept the design fluid and kept the environment interactive and dynamic. Most of the static art for this level is completed, but it still needs scripted animation set pieces. Endgame is locked, but needs some final animation and graphics updates. Endgame will be the last chapter we do a pass on, as it is dependant on a lot of final art from the other levels. Even in its current state we are very happy with how it plays out. We assume most of the people reading this have already pulled the trigger on buying the game (thank you), but we do have to mention that we are 60% off for the Steam Winter Sale! Black Mesa makes a great gift for friends and family. This will be one of the last sales before we ship Xen! Thanks for reading— we plan on having a small news update and dev blog in January. Have a great holiday!